The UK has a new viral sensation taking over. Now, the internet is no stranger to their quickly growing obsessions and it seems like this new sensation might just be the latest. From a shaved Husky taking over our Twitter feeds to a note from a dad telling his daughter to peel her own oranges, we love a good viral tweet! So get ready for the newest sensation to take over the Twitterverse: It’s Gaspard the Handsome fox! Zeb Soanes came home to find Gaspard waiting on his doorstep. 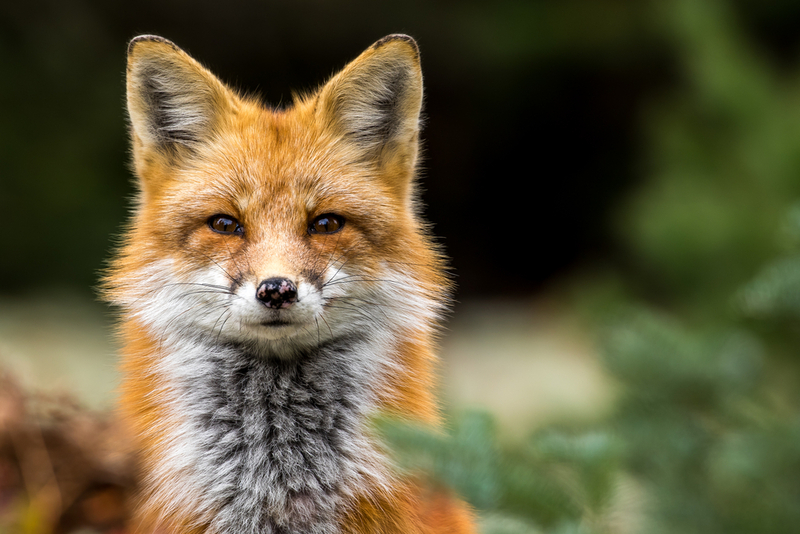 In the UK, urban foxes tend to get a bad name. So obviously this handsome boy took the internet by storm when he was sweet and curious to Zeb as he folded up his bike. And of course everyone loves him, he’s adorable! It all started when Zeb shared this picture of Gaspard when he arrived home to find the urban fox waiting for him. This was back in December and the fox has continued to return to visit Zeb. Earlier this week, Gaspard returned and this time the fox brought cubs! On Gaspard the Fox’s Twitter account (yes someone actually made him a Twitter account), he said he was proud to share the news and asked for name suggestions! From there, people got pretty unique with their name suggestions. It has all become a name game. First, we have this pun that gives us some real Back to the Future feels. Marty. As in Michael J. Then there were some more serious takes on what their names should be. But don’t worry, Gaspard made sure to greet Zeb on his way to polling day with a cub in toe. And at the end of the polling day, Gaspard had chosen a name for one of his cubs! So there are still some names to go but at least we all know that Gaspard is the most handsome fox in all of London. If you have name suggestions for the other three cubs, make sure to tweet them at Zeb Soanes and Gaspard the Fox on Twitter! We have to make sure these handsome little babies have fantastic names!